Lunch (you can add lunch for extra price) see option. 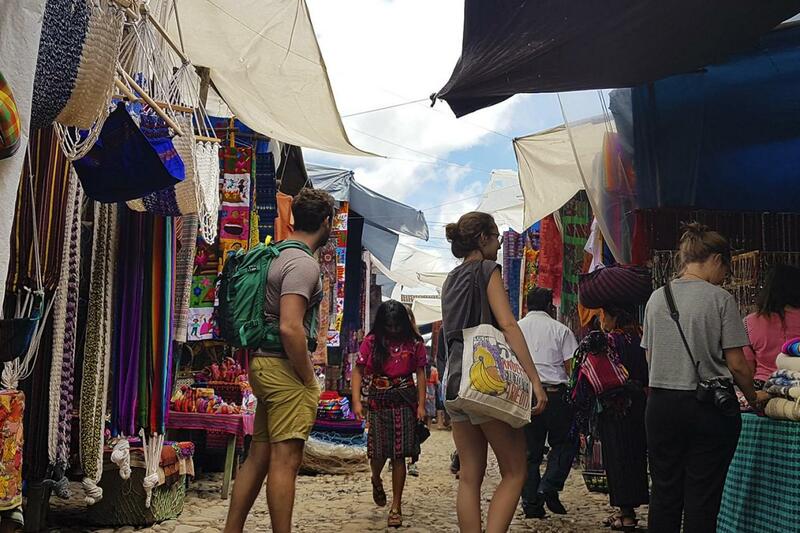 Excursion to the Chichicastenango Market, considered one of the largest and most colorful markets in Latin America with a panoramic view of Lake Atitlán. You will be picked up at your hotel in Guatemala City and transfer to Chichicastenango, sometimes your transfer will be via Antigua Guatemala below a brief summary of what to expect on your way. We will go to the west of the country where most of the indigenous villages of Guatemala are concentrated. On the way to our destination we will start in a wooded area surrounded by pine trees and other tree species continuing our journey we will see a valley where a variety of vegetables are grown, as well as fruits and vegetables grown by local people. Upon our arrival at the market we will start our walking tour inside the market. It is the center of the city and at the heart of commercial life of "maxeños" (name given to the indigenous people of Chichicastenango, derived from Max which means Tomás in the Quiché language). The merchants descend every Thursday and Sunday to the central square to sell their products in this impressive indigenous market that has changed very little over the centuries. We will observe the colorful handicrafts and handmade by local inhabitants of the región also you can see various merchandise, such as clay crafts, typical textiles, fruits, vegetables, meats and seafood, flowers and the regional costumes of the place. At the end of our walk we will continue to the town of Panajachel, which is located on Lake Atitlan. We will visit Calle Santander and enjoy a spectacular view of the lake which is considered one of the most beautiful lakes in the world. Three spectacular volcanoes, Tolimán, Atitlán and San Pedro form the natural framework of the lake itself. Time to take pictures. At the end of our tour we return to Guatemala City via Antigua Guatemala. Falta más interacción con el lago, nos dejan en un restaurante con precio altos. Great value. Was able to see a large open air market and the beautiful Lake Atitlan. Great tour! Would have been nice to have more time exploring at the market. Great market to visit... So much to see. The place we are near Lake Atitlan was lovely although pricey by Guatemala standards.